SUMMER IS AROUND THE CORNER, WHICH MEANS IT’S TIME TO FIRE UP THE GRILL! Check out these cookbooks that can add some spark to your summer barbecues and cook-outs! In Serious Barbecue, Adam Perry Lang has translated his intimate understanding of culinary technique into easy-to-follow advice to help a nation of backyard cooks unleash the raw power of one of the most flavor-packed cuisines around: American barbecue. 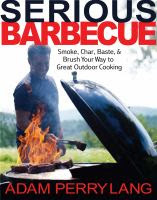 Perry Lang begins by breaking down the fundamentals of barbecue---what tools you’ll need to begin, how to master cooking with charcoal and wood, how to choose the perfect grill, and more. 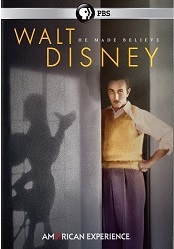 Then he takes readers on a trip through the butcher s case, describing exactly what makes each kind of meat special, explaining how to select with the skill of a master, and providing his favorite recipes for almost every available cut of pork, beef, veal, lamb, chicken, and turkey. 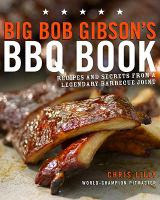 These original, mouthwatering recipes, which include step-by-step seasoning instructions and a flip-by-flip grilling or smoking guide, will have amateur and expert cooks firing up their barbecues and enjoying perfect results every time---whether they re impressing a group of friends with Perry Lang s insanely delicious Salt and Pepper Dry-Aged Cowboy-Cut Rib Eye or wowing half the neighborhood with his massive, slow-cooking, succulent "Get a Book" Whole Pork Shoulder. Whatever the recipe, his goal is for everyone to achieve the holy grail of barbecuing: bragging rights. 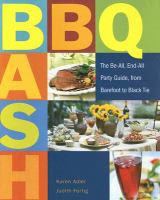 With 100 delicious recipes for entertaining with the grill or smoker, Barbecue Bash is the key to partying with a touch of panache, from casual backyard get-togethers to more elaborate black-tie barbecues. The versatile recipes in Barbecue Bash offer all the flavor and flair of crowd-pleasing party food-from elegant appetizers and entrees, to refreshing sides and salads, to succulent desserts-without any of the fuss. Sidebars throughout feature time-saving, party-planning, and food-presentation tips, as well as suggested themed menus, cocktail suggestions, recipe variations, and more. Sizzling fajitas are probably the first thing that comes to mind when you think of Tex-Mex's contribution to the backyard barbecue. But mesquite-kissed T-bones with grilled corn on the cob slathered in ancho chile butter is Tex-Mex too—and so are grilled jumbo Gulf shrimp with pineapple kebabs and red snapper fish tacos. In The Tex-Mex Grill and Backyard Barbacoa Cookbook renowned Texas food writer and James Beard Award winner Robb Walsh showcases the full spectrum of outdoor cooking in Texas and Northern Mexico in his unique style, with photos and 85 easy-to-follow recipes. The smoky and spicy flavors of the Tex-Mex grill evolved from the culture of the Latino cattlemen. Walsh traces the history of grilling in the border region and provides a handbook of techniques, step by step photos, and interviews with legendary Tex-Mex chefs. Here are all their recipes and more for grilled meats and seafood adapted for the backyard barbecue, along with the frijoles and side dishes, picante salsas, and festive tequila cocktails that fill out the fiesta. 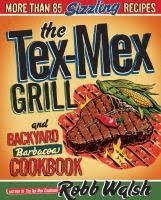 The Tex-Mex Grill and Backyard Barbacoa Cookbook is a grand tour of famous Tex-Mex restaurants, taco trucks, cook-offs and tailgating get-togethers that bring the world’s most popular American regional cuisine to your home grill.